Home inspections are a crucial part of the home buying process. When thoroughly performed, they can stop you from making a very costly mistake. Unfortunately, there is the possibility that some issues may be missed. 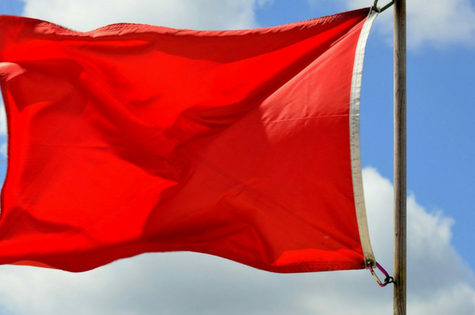 To prevent this from happening, you should be aware of five commonly missed red flags on home inspections. Here’s a quick look at what you need to know. Decks can add valuable outdoor space to any home. They also increase the overall property value, making them very appealing to many homeowners. However, there is a lot involved with building a deck. It takes more than some 2x4s and nails. First, it starts with designing a structure that is properly footed and meets local building codes. Not only is this a complex task, but there is also a need to ensure a waterproof connection between the house and deck, use the appropriate fasteners and build the proper stairs and railings. In other words, building a deck takes plenty of planning and skill. A good home inspector takes the time to really inspect a deck. He will make sure it is currently safe and should remain this way for the foreseeable future. While there are plenty of benefits associated with siding, there is also the potential for problems. This is especially the case with older siding. In fact, many types of siding have been taken off the market due to a host of issues, including poor performance. So many products have been replaced over the years newer home inspectors may be unfamiliar with these materials. This increases the chances of missing a red flag. Most home inspectors will agree that this is the most important aspect of a home inspection. It’s easy to understand why when you consider that wood-boring insects and rot can eat away at a home’s core, leaving it unsafe. In this area, the most common threat is to a home is termites, wood boring beetles, and carpenter ants. In terms of organisms, rot fungi is the most prevalent. A good home inspector needs a complete understanding of these insects and organisms, as well as what conditions attract them and signs that they are active in a home. A house on the water is wonderful. Water in your house is a disaster. Even worse is when the water is unseen. Often it can cause tremendous damage before you realize it. Therefore, unwanted water intrusion is another crucial component of a home inspection. An inspector should have a well-trained eye for water intrusion. This includes knowing where to look for it and picking up on even the smallest sign that there has been previous water entry. A roof can make or break a home. As a result, well trained and experienced home inspectors will spend a great deal of time thoroughly inspecting a home’s roof. He or she will make certain it has been properly installed and will alert you to any potential problems. In addition, he or she will look for any wear patterns and/or damage on tiles, shakes, and shingles. Before you buy a home, insist on having a complete home inspection by an experienced, well-established company, like Crawford Home Inspections. Whether the home has been there for years or is brand new, a home inspection is vital. It just might save you from making a huge mistake. Ready to get started? Contact us today!